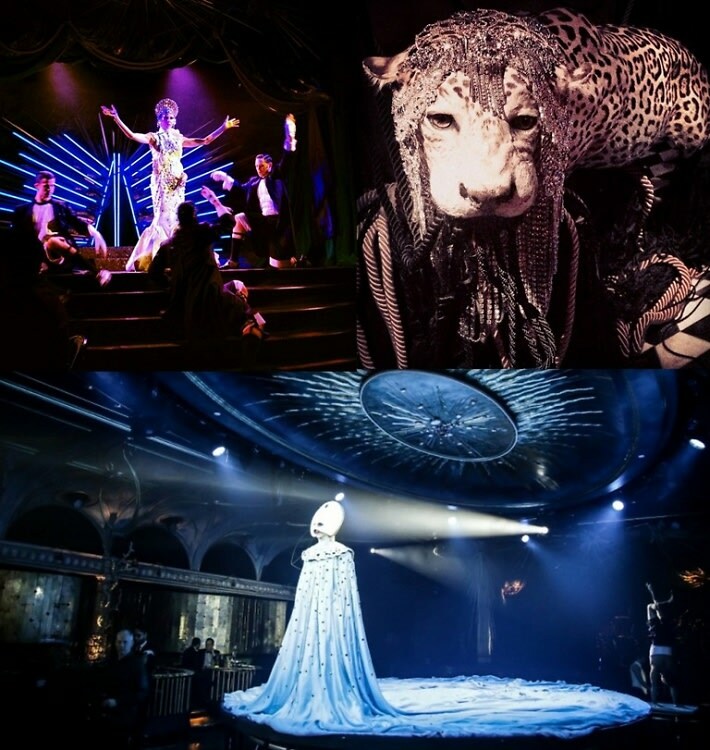 Dark and Dionysian, the Diamond Horseshoe's "Queen of the Night" is not your average dinner theater experience. Which, of course, shouldn't be a surprise when the international tastemaker Giovanna Battaglia, visually whimsical designer Thom Browne, and "Sleep No More" producer Randy Weiner are all listed as just some of the minds behind it. Since beginning performances back in December and hosting its official opening night on February 2 of this year, "Queen of the Night" has garnered its fair share of whispered mystique. "But what is it, exactly?" has been the question going around New York in circles facing sold-out shows and serious FOMO. Well, there's a reason why that question can't quite be answered unless you go and see for yourself, and since showings are only going until June 15, we suggest you act fast. Need any more convincing? Here are the top five reasons this show is a must-see.